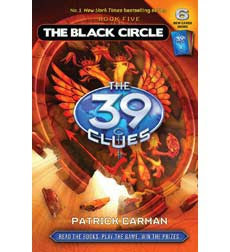 This book is about Amy and Dan Cahill participating in a race that have a really high possibility to kill anyone who joins it. 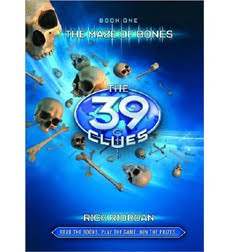 In order to win, they need to find 39 clues (of course all of you would have figured it out from the title of the book). It is said that those whoever wins this race would become the most powerful human being on this very earth (I'm not sure what kind of power did the writer means it). This is an interesting novel actually. The plot was really good and the storyline was fantastic. Not to mention every single book was written by different novelist. This is the part where I say "I shouldn't have read this book,". 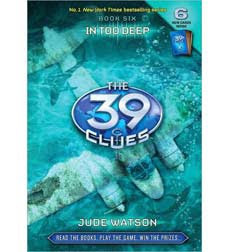 You see, there was only 1 clue in a book. 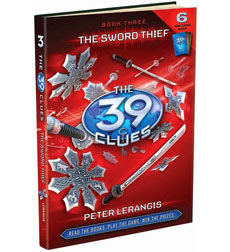 So, basically this series of novel have 39 book! So far, I have only read until book 4, 35 books to go,dude! I'm looking forward on reading the latest books, book 5-7. But still, how long do I have to wait to know the ending? 10 years? 20 years? You know, these books was like cigarettes. At first you would say "It won't bring any harm if I have one of these,". You read the first book. "Whoa, this book is interesting!". Then you read the second book. "Oh, it got better,". And now you stuck with it until the very end. 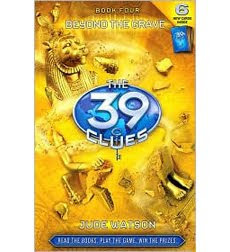 The point is, The 39 clues is AWE.....wait for it....wait for it.....SOME! 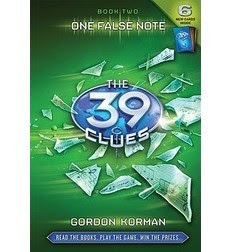 i will addicted to this book? (actually, alasan jer tue, malas baca buku sy nie...hehehe?